Game Calls • Moose Calls, Elk Calls, Deer Calls, Predator Calls, etc. Do you mean the difference between the box game calls where you need to move something manually, or are you referring to the vast array of electronic calls? There are also those reed calls that you need to blow or use with a bellows. A prime example of a bellows type is the Elk Call made by Primos the Hoochie Mama. I have a few friends that rely exclusively on this call; successfully! How about a call that is advertised as being the only call you need for any type of hunting? I think the first thing you have to consider is the type of game you are hunting. There is a big difference between the type of call you would use for predator hunting as opposed to moose hunting. Once you have decided which game species you are going to hunt, you will have to decide the style of hunting you are doing. Are you ambush hunting? That is, are you just waiting to see if an animal happens by where you set up? This can be a very effective strategy, by using this hunting technique you wait to see the animal before you use the hunting call of your choice. Another very effective technique is to use a more proactive approach. In this instance you call without first seeing the animal. The act of calling actually brings the animal to you. 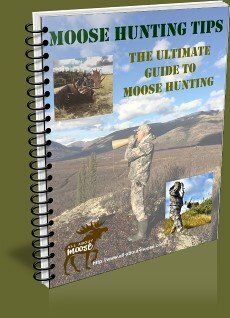 Call predators or moose using this technique; because of the high volumes that can be used, this method of using a call works well. Sound can travel great distances and will over time bring is some animals. Of course there are other aspects to consider when using game calls, the terrain you are hunting and the type of hunting clothes you are wearing are just two of these. Wide open grass land will require a quite different approach to the hunt than that of hunting a thick forest. 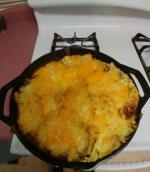 When hunting the open grasslands the key is to use the natural lay of the land to your advantage. When I hunt either type of topography I usually try to set up to use my game calls from a higher vantage point. It is always easier to see looking down onto a landscape than to try and look up. Your visibility will increase at least 100 percent. When hunting predators as opposed to moose for instance will require a difference in clothing choice. For predator hunting you will need to wear a camouflage pattern that closely resembles the area you hunt. It is important that you cover every part of your body including your face. Predators have extremely keen eyesight, therefore to have a successful hunt you must set up in a way to minimize your movements too. For moose hunting unless you are bow hunting, I do not believe it is as critical to wear camouflage. Because moose have poor eyesight you could get away with less. Hunting deer on the other hand, it is important to be undetected... camouflage is a must. Use the search box to find the game calls you are looking for. 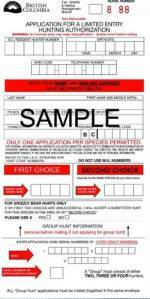 Be sure to get your game calls before hunting season begins, as I have seen many times when the items I have wanted are out of stock during the prime season. I learned my lesson the hard way, often paying more for the item because my favourite shop did not have the item I needed. Being prepared for the season means having your game calls and the rest of the hunting gear on hand ahead of the season. Some states or provinces do not allow the use of electronic game calls or the use of recorded animal sounds. Check the regulations for the areas you will hunt, ignorance is no excuse. You might not feel comfortable in using your voice to make the sounds, such as when you would when using a birch bark moose call. A reed call may make more sense to you; where, all you need to do is blow in the end and through air volume control create the sound you want. 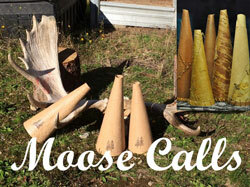 You might also want to try using a moose decoy in your set up. My suggestion? Do your research, read customer reviews. Talk to your hunting buddies, and find out which ones work for them and which ones do not. Here are a couple of suggestions, for duck hunting (Echo calls are hand tuned by 1997 National Duck Calling Champion Rick Dunn) and goose calls by Bill Saunders can be broken down by species hunted and subcategorized by the type. Who makes game calls you ask? There are currently (2010) about 150 manufacturers of calls that I am aware of. 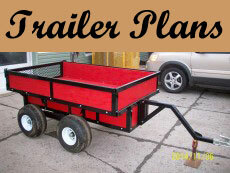 How you choose from one manufacturer or another becomes a personal choice. Maybe because a friend recommends one over another or you have seen an advertisement on the television. A few of the more popular names in game calls: Carlton's Calls, H.S. Calls, Knight & Hale, Predator Quest, Primos, Quaker Boy, just to name a few. Good Luck and Good Hunting – Take a child hunting too! They are our future sportsmen.